Do you love Pizza? 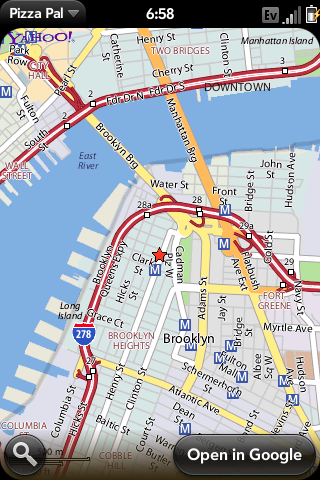 Looking for quick access to your favorite pizza parlors? Want to find some of the best in the area, no matter where you are? Pizza Pal is for you. You can ether use your phones built in GPS to search for the closest places to get a slice of that pizza pie, or search by any address. Do you search often? 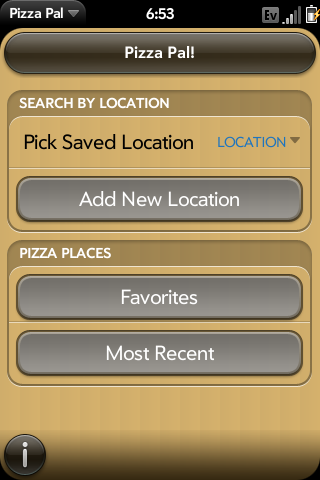 Pizza Pal lets you save your current location, for quick searching in the future! 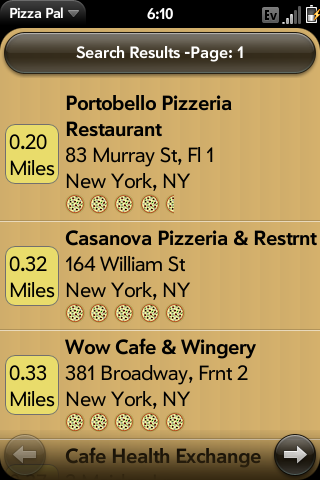 It also will let you save your favorite places, and keep track of the most recent pizza places you called. Pizza pal also includes lots of details. 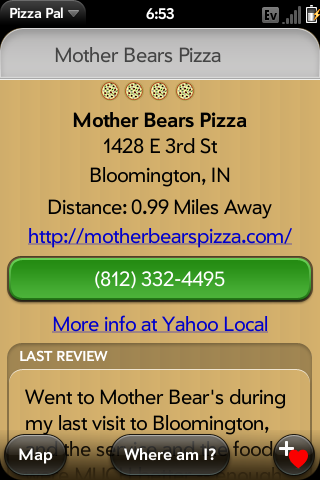 You can see the most recent yahoo local review of each restaurant, and view a yahoo map or launch the google map application. It will even tell you where you are, so you can tell the delivery guy how to find you! 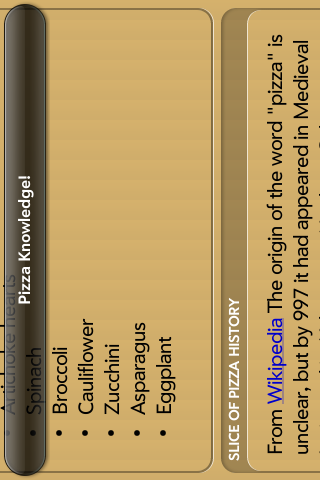 Pizza Pal includes an extensive help system with LOTS of Pizza knowledge and information. With Pizza Pal you will learn to be a pizza connoisseur in no time! All this for FREE!! Please email me if you have any comments, bug fixes or suggestions! Please do not post any negative reviews to get a feature added. 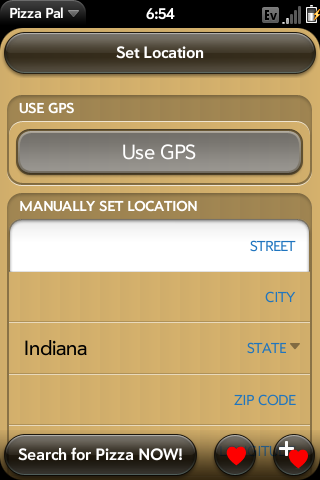 You can use GPS or manually type your current address. Results are sorted by location to you. You can tap the green button to call. Lots of things to learn too!